Includes everything you need except meat and an appetite! Meet EZ Press n' Grill, the only self-contained burger press that holds all you need to make. 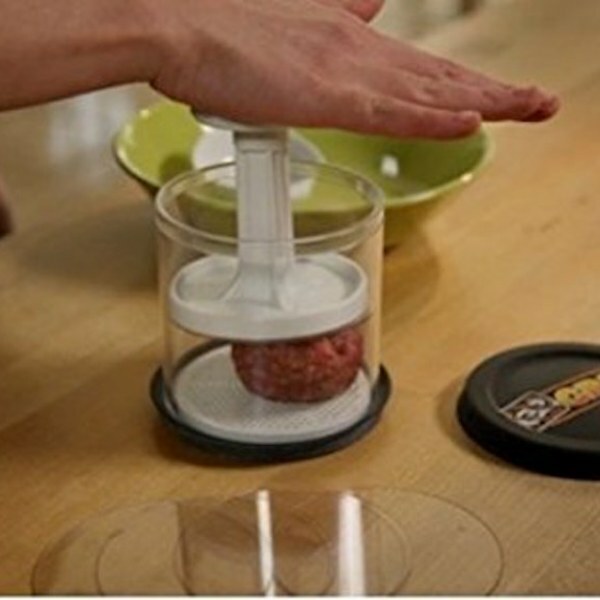 Tired of messy hands and burger patties that come out sloppy? Meet EZ Press n&apos; Grill, the only self-contained burger press that holds all you need to make. Your kitchen, your ingredients, your way. Make patties and grill now... or use the Press n&apos; Grill to take them on the go. Either way, you&apos;ll end up with perfect burgers every time!